“Love the staff which is the core of any Providers office.” Anonymous patient. * Individual Results May Vary! “My wife found out about this place, since it’s in my neighborhood.” Anonymous Patient. * Individual Results May Vary! “He can work with anybody from kids to the elderly.” Anonymous patient * Individual Results May Vary! “I have been strugling with my weight for years i went to DR Prab a little over 3 months ago and have lost over 70 lbs already he takes his time at every visit to explain diet and medication to you im now never hungry full of energy going to gym daily. MY appetite was huge before visiting DR now im never hungry i Recommend him to anyone looking to lose weight ive tried everything in last 10 years and this was the only thing that worked for me lost over 70 lbs in 3 months” * Individual Results May Vary! Dr Tumpati and staff are very friendly and knowledgeable on weight loss and sleep disorders. Dr Tumpati takes time and explains what truly causes your weight gain, works with you to find a weight loss plan that works for you. As they accept insurance for the visits, all I had to pay was the supplements and any appetite suppressants. Highly recommend to anybody trying to lose weight! * Individual Results May Vary! Dr. Tumpati absolutely changed my life! In a matter of a few months I lost 53 lbs, went from a size 16 to a size 10 and learned how to manage my weight and eat in a healthy way that fits my busy lifestyle. I could not be happier with the results and would recommend Dr. Tumpati to everyone who is struggling with weight and feel like they have tried everything and failed. He will make you a success story! For many years I struggled with weight. I tried everything. I couldn’t get it off. This is the only one that actually worked and I have kept it off! I am amazed at my results. I wore a bikini for the first time this past summer! The last time I did that was about 10 years ago. Dr. Tumpati and Laura are extremely knowledgeable. They are both such a huge help in my reaching my goals and keeping me there. Dr. Tumpati is so helpful in everything. He works with you. He listens. He is so up to date on everything. I would never be where I am if it wasn’t for him. I can’t thank him enough. I highly recommend him. I give his name to everyone. He is the only one that was able to help. I’m still amazed every time I look in the mirror or pull out a shirt that is just huge now. Amazed and excited. Thank you! Jamie J. This is a great program that has worked very well for me. 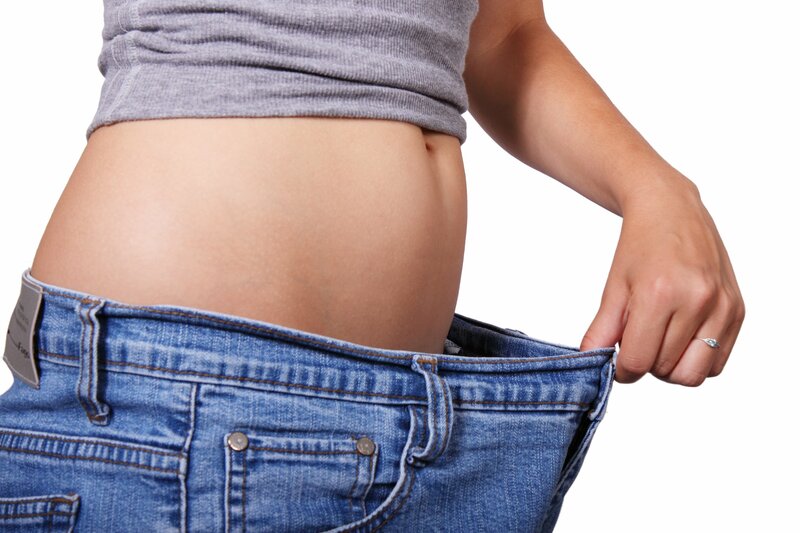 Dr. Tumpati is is very knowledgeable and keeps up to date with the science of weight loss and nutrition. I was really packing on the pounds as I got older, and everything hurt. After losing 40 pounds, my knees are great and I can do stairs without pain. I just don’t know why it took me so long to make the first appointment…this is exactly what I have been looking for. I’m halfway to a goal I thought was unattainable, and I feel great. My clothes fit again and I have tons of energy. At each monthly visit the doctor take measurements, weight, blood pressure and pulse rate, and we discuss goals, exercise, issues, and any problems encountered and adjustments are made as necessary. I highly recommend this program and Dr. Tumpati. Marie A. Can only say that I absolutely love the staff at this office! I’m thrilled that I’m down 52 pounds and counting. Have several friends enrolled in the program as well and all are having successful weight loss. Thank you Laura for always being able to switch my appointment when my schedule has changed from when I have made my original appointment. Kim S.
It’s been a great experience so far. I’ve lost over 50 Lbs and feel better than I have in a long time. I came in because I had just started the evaluation process for Gastric Bypass surgery and knew I needed to lose 10% of my body weight prior to the surgery, I also needed a sleep study, so I decided to kill 2 birds with 1 stone. 5 months later and I am no longer even considering surgery thanks to W8MD. 20 more pounds to reach my goal weight and I’m confident I can make it with the W8MD program! R.R.